These are the ingredients that make Beach Palace an unforgettable family holiday destination. First-time visitors will be impressed, and returning guests will be amazed at the striking transformation that our recent renovation brought. The contemporary Mexican design and architecture of this exceptional resort includes such spectacular features as a Sky Floor with not just one but two rooftop pools, two swim-up bars, two enticing Jacuzzis, a fitness center, and breathtaking views of the Nichupte Lagoon. A Giant Screen airs our nightly shows, professional sports, and even video games. 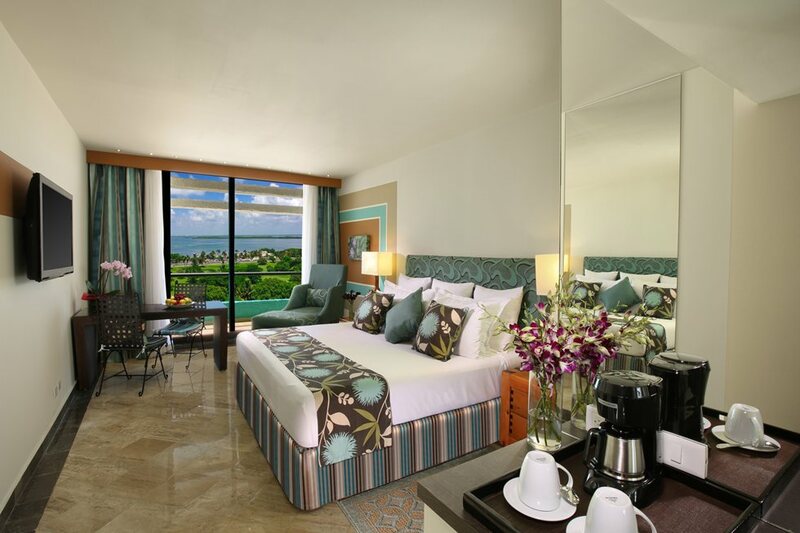 Our chic and unique style carries into our luxurious guest rooms, with all of the comforts and conveniences you expect from Palace Resorts All-Inclusive Features. Of course, our exceptional service is of the highest standard and will leave you smiling every time. Activities and all inclusive amenities abound at Beach Palace Resort. Dine on ethnic dishes at four distinctive restaurants, relax in any of our three outdoor pools, imbibe at one of our bars, enjoy nightly entertainment. It’s all included in our All-Inclusive Features. Our $1500 Resort Credit even lets you enjoy amenities such as the Beach Palace Spa or championship golf at the nearby Riviera Cancun Golf Course. Our supervised Kids Club keeps the youngsters engaged with arts and crafts, activities, games, and a kids’ pool. Beach Palace is truly a Cancun dream resort that’s ideal for families. 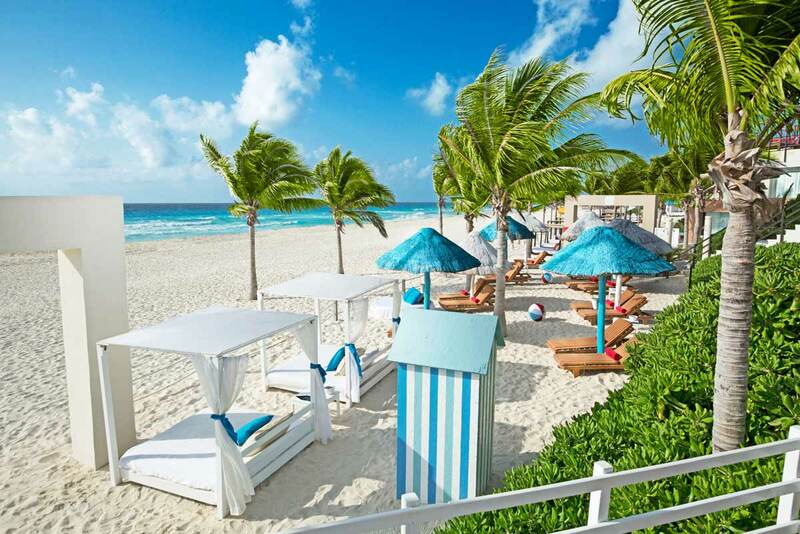 Grand Oasis Cancun is a 5-Star beachfront all-inclusive resort and spa with an on-site 9-hole golf course that is perfect for the entire family! conveniently located only 25 minutes from the Airport and 20 minutes from downtown Cancun. Grand Oasis Cancun is Cancun`s ONLY Ultimate All-Inclusive Entertainment Resort. 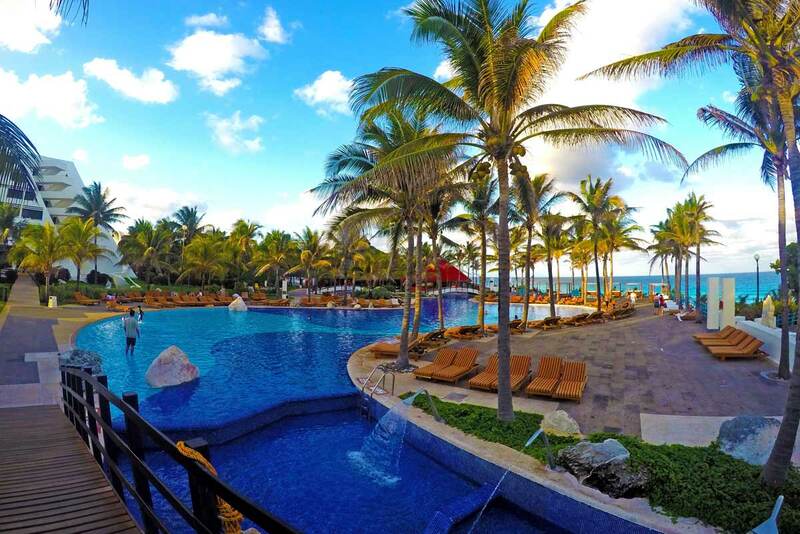 Grand Oasis Cancun is an exclusive resort with the highest standards of quality that provides a relaxed atmosphere and the largest selection of restaurants and bars in Cancun, Mexico. Grand Oasis Cancun is distinguished by the grand pyramid structure as the centre point of the property with 613-rooms in the centre pyramid, and two additional buildings. Under an impressive crystal cupola the lobby of the hotel is characterised by its hanging plants and exotic gardens. All rooms are redecorated in a minimalistic Mexican style, all offering either a terrace or balcony, individually controlled air conditioning, bath with a shower/tub, a King Size bed or two Double beds, TV with cable service and remote control, direct dial telephone, bath amenities, hair dryer, Mini-bar, Room Service, Safety Deposit Box ($). All suites have whirlpool tubs. Grand Oasis Cancun offers the opportunity to visit any other of our resorts during your stay at the same category. Day passes, preferential access to special events, show and concerts at the hotel Oasis Cancun. 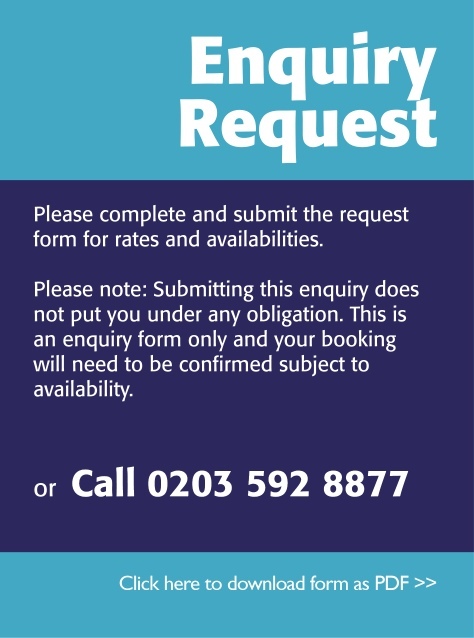 Please contact the concierge for further information. A great variety of services are available at Grand Oasis Cancun, all surrounded by vast nature. A constant offering of activities without losing the opportunity for rest and relaxation brings full satisfaction to each guest. Take advantage of the 16 restaurants (including 3 snack bars), each one with different specialties. 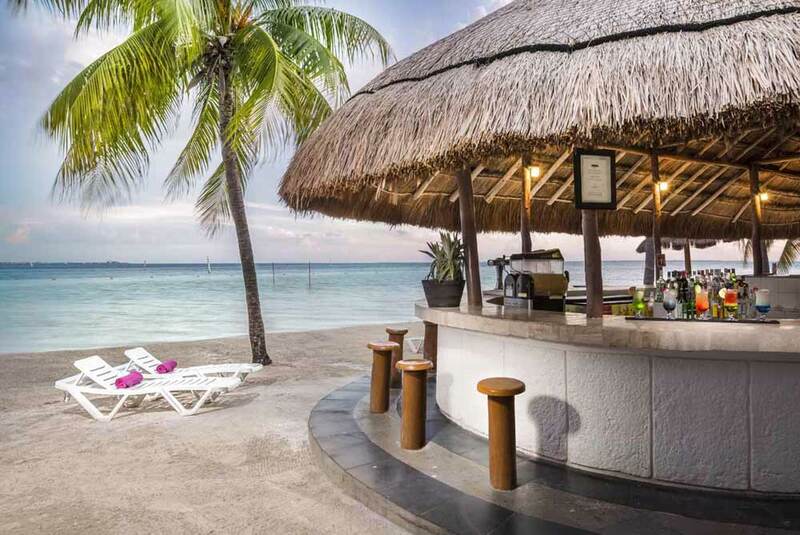 Enjoy yourself in one of the 17 Bars, located throughout the resort. The resort provides a comprehensive program of entertainment throughout the day and evening. With a beach over 1/3 mile of fine white sand featuring palpates and lounge chairs, there is an opportunity for everyone to relax and enjoy. Available for your pleasure and convenience is a par 3, nine-hole Executive Golf course, full service Spa and a marina offering non- motorised water sports, tennis courts, fitness centre and shops. Grand Oasis Cancun is distinguished by the grand pyramid structure as the centre point of the property with 613-rooms in the centre pyramid, and two additional buildings. Here, the simple elegance of old Mexican hospitality shines brightly, reflected in the smiles of guests, the kindness of staff and the exquisite interlaced pools, all among swaying palms, butterflies and tropical blooms. Enter your guest room and feel the refreshing breeze glide over your private balcony. A double Jacuzzi and 24-hour room service makes your guest room enticing. Seven glimmering pools with outdoor Jacuzzis and swim-up bars, 13 exceptional restaurants and endless other activities and entertainment lure you to explore the resort grounds. Our All-Inclusive features offer the exhilaration of enjoying whatever you want, whenever you want it – fine dining, premium wines and spirits, water sports, nightly entertainment – without hesitation. A Jack Nicklaus Signature golf course beckons to golfers with challenging terrain and breathtaking scenery. A luxurious spa tempts you with massages, facials, hydrotherapy and an abundance of other treatments to relax and invigorate. Benefit from a $1500 resort credit if staying over 5 nights and enjoy further privileges throughout this wonderful full service resort. 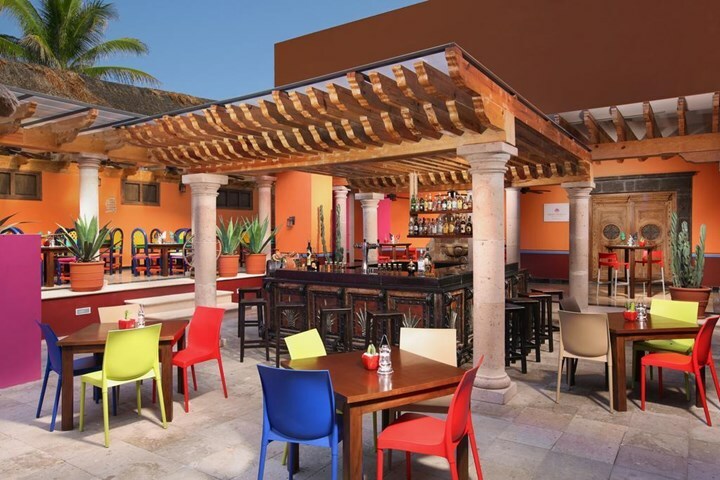 Located just minutes from the laidback charms of Playa del Carmen and the distinctive outdoor Playacar del Carmen restaurants, authentic Mexican shops, bars and nightclubs of the famous Fifth Avenue is Playacar Palace. Ideally situated right on the glistening white sand beach of the Caribbean Sea, the intimate and luxurious Playacar Palace is an all-inclusive Playa del Carmen resort that’s equally well suited for a relaxed family vacation, a picture-perfect wedding, romantic honeymoon or a memorable meeting. Experience a soothing retreat at our state-of-the-art spa, or enjoy a challenging round of golf on our world-class 18-hole course (designed by Robert Van Hagge) at the Playacar Spa & Golf Club. Take a refreshing swim in our sparkling pool, enjoy a large smooth beach that seems designed by nature for wading, throwing a Frisbee, flying kites or playing beach volleyball. Savor exceptional international dining with unlimited wine by the bottle and brand name spirits, as well as daily and nightly activities and entertainment. 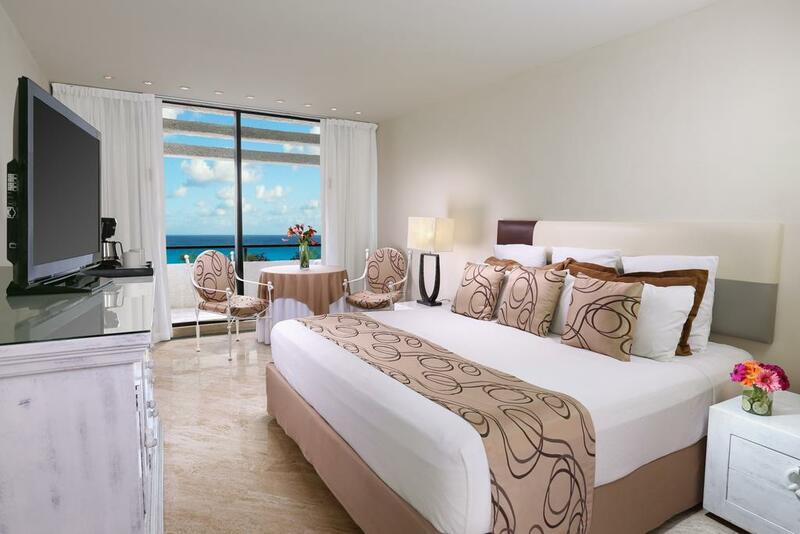 Playacar Palace features 208 beautifully appointed guest rooms and suites, most with balconies and ocean views of the Caribbean Sea and Cozumel Island that will take your breath away. Equally inspiring are the abundant in-room amenities, including a double Jacuzzi® in every room, 24-hour room service, and a luxurious and stylish décor. A couples-only oasis on the Cancun coast, overlooking the sparkling Caribbean Sea, Sun Palace is a dream holiday destination. 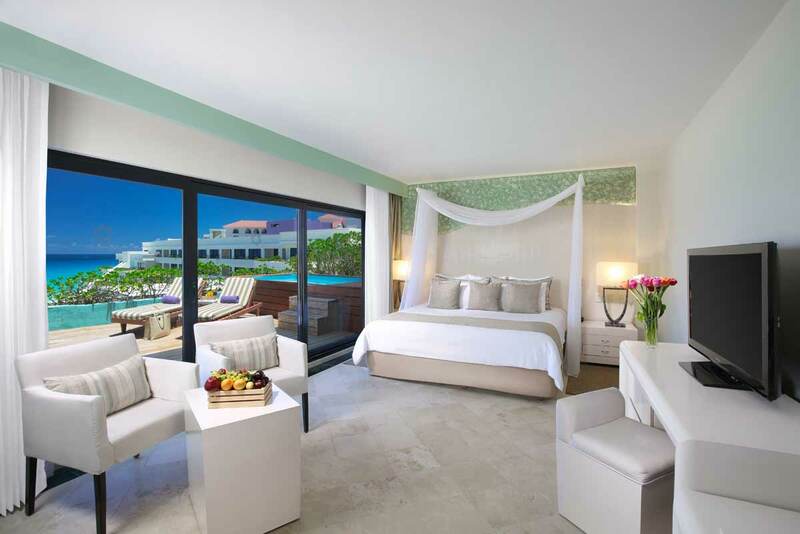 Sun Palace features 252 richly appointed and modern guest rooms, each with its own private balcony and breathtaking views of the Caribbean Sea or Nichupte Lagoon. Abundant amenities include a double Jacuzzi in every room, 24-hour room service and a luxurious Palace Resorts king bed. Five restaurants and three bars offer enticing international dining and top shelf cocktails, all part of our All-Inclusive Features. Golf enthusiasts can enjoy a challenging round at the nearby Moon Spa & Golf Club or Riviera Cancun Golf Club, both home to Jack Nicklaus Signature courses. At our luxurious Sun Palace spa, expert hands deliver spa treatments to guests who seek a serene and rejuvenating experience. Conveniently located only 15 minutes from the airport, Sun Palace resort is the ultimate couples-only intimate retreat. A chic, elegant new concept in all-inclusive vacations awaits at The Pyramid at Grand Oasis. Newly renovated, The Pyramid is located on the Grand Oasis Cancun resort complex, and offers guests a new and lavish way to experience Cancun and connect with the Mayan spirit. 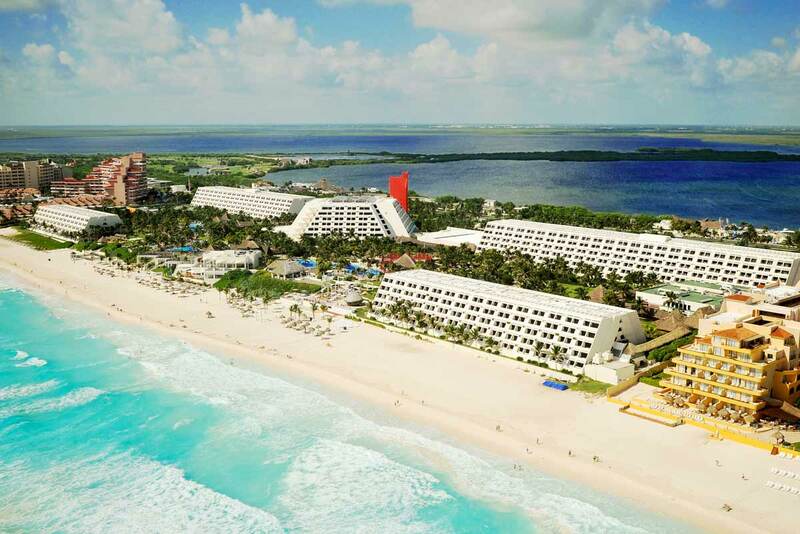 It stands majestically on the longest beach in Cancun, and features the longest pool in Cancun. At its centre is an impressive open-air atrium. Guests receive VIP treatment, including exclusive gourmet restaurants for Pyramid guests only, an opulent spa, a VIP lounge, concierge, top-of-the-line bath products, an upgraded minibar and more! It’s the kind of white-glove treatment that makes guests feel incredibly special. Imagine choosing one beautiful Oasis resort as your home base, while enjoying access to the facilities at five other amazing resorts! The Grand Oasis Runaway Program lets guests experience a fabulous collection of Oasis resorts, offering access to over 50 restaurants and 50 bars at no additional cost. Pyramid guests can visit any Oasis resort and Grand Oasis guests have access to all resorts except The Pyramid. Oasis also offers Smart car rentals for preferred rates so getting around between resorts is easy. Celebrate your love in the heart of Cancun or Tulum — Mexico’s blissfully romantic destinations — where you’ll find settings so beautiful, amenities so luxurious, and Oasis event planners ready to help make your dreams come true. Select from six different packages - our pre-designed themes are a great way to start planning weddings and our a la carte options lets you add any of the extras you want or custom design your own special day. Best of all, the O Remember wedding package is FREE with required room nights (judge/minister fees not included).